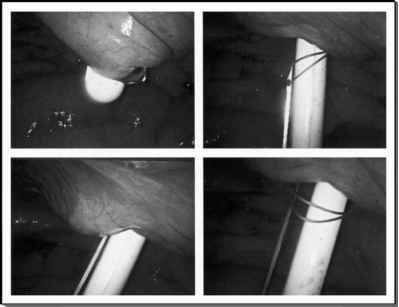 The major impetus driving the development of minimally invasive techniques for prostate cancer has been patient satisfaction and quality of life: shorter convalescence with quicker return to normal activity and shorter use of a Foley catheter are attractive goals to be achieved by laparoscopic radical prostatectomy. Additional potential benefits of laparoscopic radical prostatectomy include a relatively decreased intraoperative blood loss and risk of transfusion, allowed by the tamponade effect of the pneumoperitoneum and the versatile visualization. The 12 to 15 times magnification afforded by laparoscopy allows a precise visualization of intraoperative anatomic details, which could be valuable in all the steps of the surgery. However, the lack of tactile sensation advocated as a useful aid in the assessment of induration, palpable nodules, and delineation of the proximity or involvement of the neurovascular bundles by cancer is an area of concern with laparoscopic radical prostatectomy. A recent, retrospective study analyzing 100 consecutive extraperitoneal laparoscopic radical prostatectomy and 100 consecutive transperitoneal laparoscopic radical prostatectomy at the Montsouris Institute showed no significant differences in operative time (2.8 vs. 2.9 hours), transfusion rate (3% vs. 4%), or positive surgical margin rate (21% vs. 15%) between the two groups. The authors highlighted the importance of the individual surgeon's training and experience in determining the optimal technique to use.